Melt the butter in a pan over medium heat. Whisk in the pepper and flour. Add the apple cider, bacon, bacon drippings and maple syrup and cook for about 1 minute. Whisk in the stock, raise the heat a bit and thicken the gravy to lightly coat a spoon. In Recipes-list.com we have selected the most viewed recipes from category - uncategorized . Enjoy the best recipes specially selected for you! 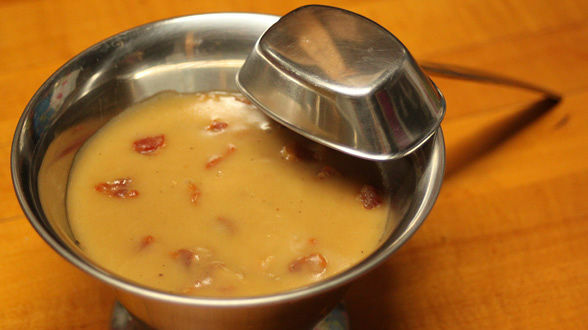 Maple-Bacon Gravy is the right choice that will satisfy all your claims.